On November 11th, Riot Police in Dhaka, Bangladesh clashed with protesters, leading to multiple injuries and at least one death. The demonstrations were sparked by the arrest of five opposition leaders, two of whom were members of Parliament. On the same day, over 100 garment factories in Dhaka were forced to close due to ongoing wor ker unrest and demands for a higher minimum wage. Unfortunately, the current instability in Bangladesh may continue as controversy continues to swirl around the 2014 January elections. Given that Bangladesh is the world’s second largest textile exporter, many are starting to become concerned with the country’s business environment. Due to the recent instability in Bangladesh, IMG Group,(http://www.theimg.com/) a leading firm in international supply chain security, is analyzing the integrity of Bangladesh’s current business environment. 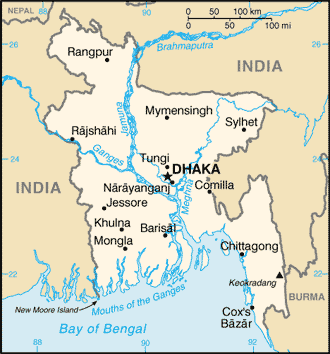 After Bangladesh’s 2008 elections, an International Crimes Tribunal was established to prosecute war criminals for atrocities committed during the 1971 War for Independence. During 2013 this court passed down multiple death sentences to prominent members of BNP and Jamaat-e-Islami, two prominent political parties opposed to the current government. Groups inside and outside of Bangladesh have criticized these trials as unfair and politically motivated. As a result of this perceived injustice, the convictions handed down by the tribunal have sparked protests and demonstrations throughout Bangladesh. However, the Tribunal has not been the only legal controversy to destabilize the current business environment. On November 5th, 152 defendants were sentenced to death for a bloody 2009 mutiny perpetrated by a military border guard unit known as the Bangladesh Rifles. Given the sheer scale of the sentence and the fact that 70 suspects died in custody, there is concern there could be further unrest. Such instability may pose additional challenges to supply chain security in the country. In addition to the recent court cases, there have been other threats to supply chain security in Bangladesh. Many garment factory workers have been staging protests across the country, demanding a higher minimum wage. There seems to be a good deal of sympathy for these workers given the hazardous conditions they are exposed to. wage increase is substantial, it is significantly less than what was demanded by some labor groups. As a result, protests over wages may continue to be a factor in Bangladesh’s business environment. 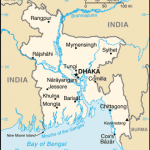 Bangladesh is set to hold its next national elections at the end of January 2014. Due to the enmity between the two major parties, there is concern that these elections might increase the political instability in Bangladesh. After all, 2013 has been racked by protests stemming from the controversial death sentences passed down to prominent opposition figures. Additionally, several labor groups aligned with the opposition are likely to continue their demonstrations demanding a higher minimum wage. In response to the political turmoil, the ruling government’s cabinet has resigned to make way for an all-party government to oversee the general election. However, it is uncertain if the BNP-led opposition will accept this move. Unfortunately, if the two sides do not resolve their issues soon, there is a possibility of large-scale election boycotts, threatening the legitimacy of the next government of Bangladesh. As such, if the political impasse in Bangladesh is not settled quickly, IMG projects a deteriorating security and business environment for Bangladesh in 2014. The recent events in Bangladesh highlight the political and economic complexity that can impact supply chain security. For global corporations, maintaining visibility on the business environment across multiple countries can be a Herculean task. The IMG Group is a leading firm in international supply chain security. Corporate or business organizations concerned about their need for detailed and robust supply chain security planning can reach out to the IMG Group for assistance. The company’s expert security consultants provide services such as executive, employee, VIP, and expatriate travel security, risk and threat assessments, workplace violence prevention, crisis management planning, and more.